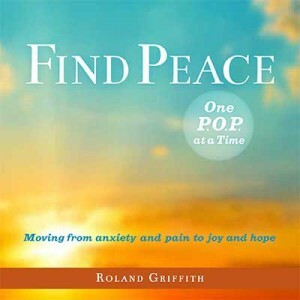 Roland Griffith has a simple but powerful message for you: Don’t believe you are stuck in depression, stress, and moodiness. Griffith knows you can overcome paralyzing fear and negative stories from the past, because he did it himself. In this easy-to-follow guide, he will teach you how to do so as well. Griffith has been where you may be now. His life felt empty, incomplete, and burdensome. Even after a diagnosis of depression, prescribed medications, and talk therapy, he was desperate enough to attempt suicide. What changed in Griffith’s life to move him from being stuck in misery to being joyful and alive? He dug in to a huge body of research on depression, reading hundreds of books, until he found his own formula for overcoming it. Now, he shares his solution, which requires less effort than brushing your teeth every day. Roland Griffith founded and ran three companies and supervised dozens of employees, all while dealing with constant and ever-increasing feelings of hopelessness and fear. After creating and using his POPs formula for more than a decade, he looks forward to waking up every day because his life is full of things he loves to do, and he can’t wait to see what happens next. Griffith lives in the Kansas City area with his wife, Connie, where he is an author, a public speaker, an avid golfer, and a leader in his various business ventures. Click here to read testimonials and reviews!